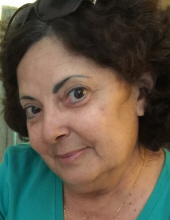 With a considerable amount of despair and broken heartedness our beloved Mary Ann Gray, age 63, of Riverview, Fl., passed on March 29, 2019. Mary Ann was born to Joseph Victorino and Mary Victorino, on November 11,1955, in Taunton, Massachusetts. She graduated from Taunton High School in 1973 and then received an Associate Degree in Nursing from Hillsboro Community College in 1995. She married Alan David Gray on September 27,1986. They were married for 32 years and they lived together in Riverview, Florida. Together they raised one child. She leaves as her legacy one child: Jennifer Marie Roche and her daughter’s spouse Onelio Armando Roche. Jennifer is the only child of Mary Ann and Alan, she also leaves to cherish her memory of her three furry companions of Onyx, Kyla and Brady. Her daughter remembers that she was created in her mother and it is also true that her mother was created for her. Mary Ann was shaped and tuned to soothe me, and her arms were molded into a cradle to hold me, to rock me. The scent of your body was the air perfumed for me to breathe. You were always the light of happiness to me Mother I have learned enough now to know that I have really learned nothing. And on this day when you are being honored, let me say a final thank you and I love you deeply. She was preceded in death by her two granddaughters Fallyn Ann and Shine Joy. Mary Ann was a Registered Nurse she was a charge nurse as well as a Hospice supervisor. She was passionate about affecting the most positive change in people and helping them to the best of her ability. A Memorial Service will be conducted on Wednesday, April 3, 2019 at the Hospice House in Sun City Center located at 3725 Upper Creek Drive, Ruskin, Fl. 33573 from 12:00 pm though 4:00 pm in the Chapel. A reception will promptly follow in the Hospice House cafe' after the ceremony. Pastor Guy Glass will officiate the ceremony. The family requests in lieu of flowers that donations be made to The Heart Associate, The Hospice House and Castles of Imagination Pre-School. The family would also like to thank all who have attended and reached out to celebrate Mary Ann’s life. To send flowers or a remembrance gift to the family of Mary Ann Gray, please visit our Tribute Store. A Memorial Service will be conducted on Wednesday, April 3, 2019 at the Hospice House in Sun City Center located at 3725 Upper Creek Drive, Ruskin, Fl. 33573 from 12:00 pm though 4:00 pm in the Chapel. A reception will promptly follow in the Hospice House cafe' after the ceremony. Pastor Guy Glass will officiate the ceremony. "Email Address" would like to share the life celebration of Mary Ann Gray. Click on the "link" to go to share a favorite memory or leave a condolence message for the family.